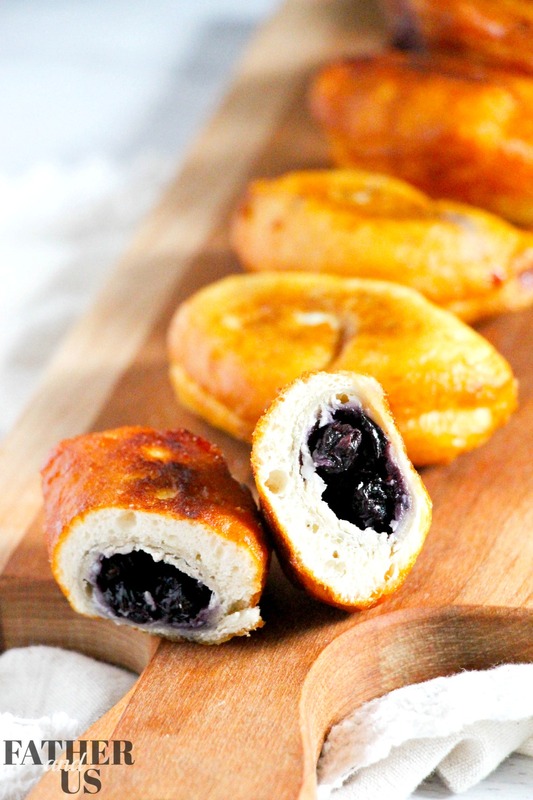 Here is a great recipe for airfryer blueberry pies! Air fryer recipes are everywhere these days. You can get all of the tastiness of traditional oil frying without feeling so guilty about it. Without having to use oil, you can skip out on all of the calories and saturated fats. I am a huge fan of comfort foods, especially “fried” comfort foods. You should see me at the State Fair! It is a sight to behold! But all that grease and oil does a number on my body. I don’t have to worry about any of this when I use an air fryer. I addition to the health benefits, air fryers are simple to use and so easy to clean up! One of my FAVORITE comfort food desserts are blueberry pies. 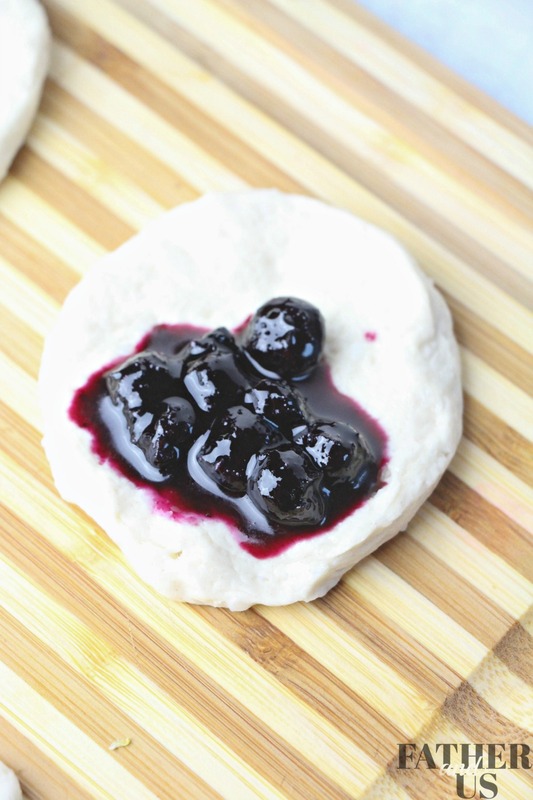 So I want to share this recipe for blueberry pies in an air fryer. I love these “hand pie” versions of this classic treat. They are not as messy as trying to slice into a classic pie. They are great for crowds and easy to keep. Just grab one and enjoy! They are a perfect dessert for your next dinner party or even a special treat for breakfast. There are a TON of Air Fryer Recipes that I love to experiment with. If you love yummy potato snacks, please check out my Loaded Air Fryer Potato Wedges. Or try these Air Fryer Mashed Potato Cakes. I also have a great Air Fryer Appetizer for your next party with these Air Fryer Chicken Wings. They are simple, easy and delicious as well! One more great idea are these gooey and crispy homemade Air Fryer Mozzarella Sticks. If you don’t already have one, go out and grab an Air Fryer and dive right in. Place blueberries, butter, water and sugar in a pot set above medium heat. Open the biscuits and roll out each to a 1/4″ thickness. Add 1 Tablespoon of the blueberry pie filling to the center of the handpies and then fold the sides together to form a crescent shape. Spray a small amount of olive oil into Air Fryer and carefully add the mini pies. Bake for 7-10 minutes, watching carefully.